Welcome to the most affordable serious tube hybrid amp on the planet—with performance and versatility that eclipse amps costing much, much more. The all-new Vali 2 is a great way to get started with tube sound, without needing a second mortgage! Some inexpensive (and not-so-inexpensive) tube amps don’t use tubes to their full potential, “starving” them with low plate voltages or using op-amp buffers for output. Not Vali 2. Vali 2 uses a unique, class-leading power supply that gives us 60V on the plate. Combined with a fully discrete, current-mode noninverting hybrid topology (Coherence™ Lite, maybe? 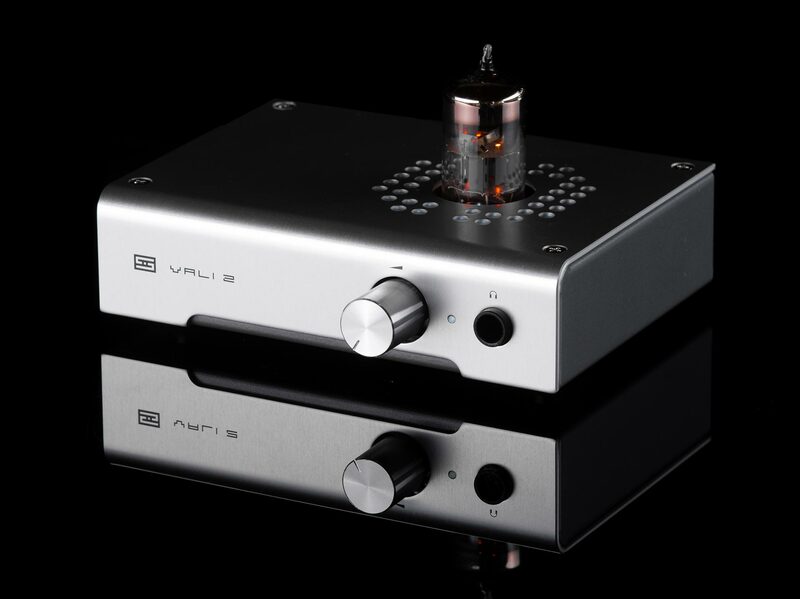 ), Vali 2 redefines what you can expect from an affordable tube amp, even at 2x its price. Vali 2 is supplied with a single NOS 6BZ7 tube, which can be swapped for the same tubes we use in Lyr 2 and Mjolnir 2—feel free to use virtually any ECC88, 6922, 6DJ8, 2492, etc to “roll” the sound to your own preference. Plus, you only need a single tube, so rolling is easy and more affordable! 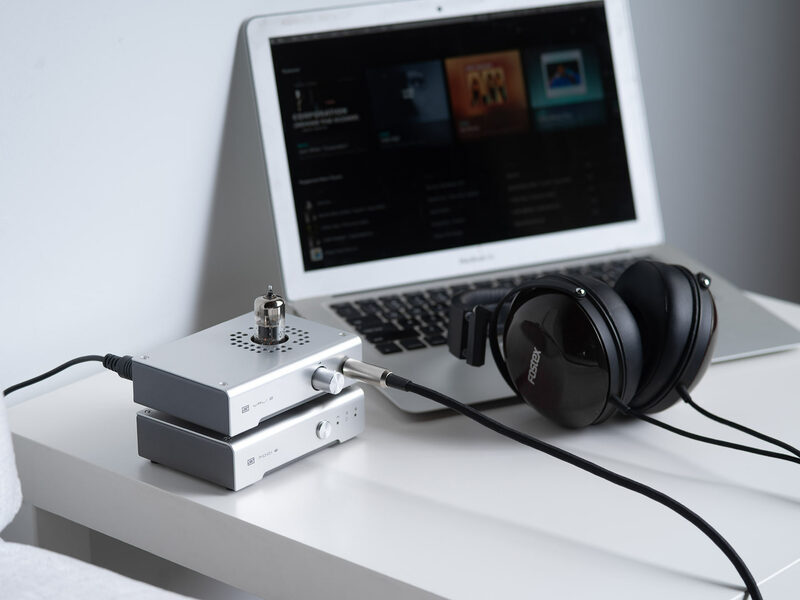 Vali delivers 1W into 32 ohms for hard-to-drive headphones—and, at the same time, offers a low gain mode for low-noise performance with sensitive headphones. 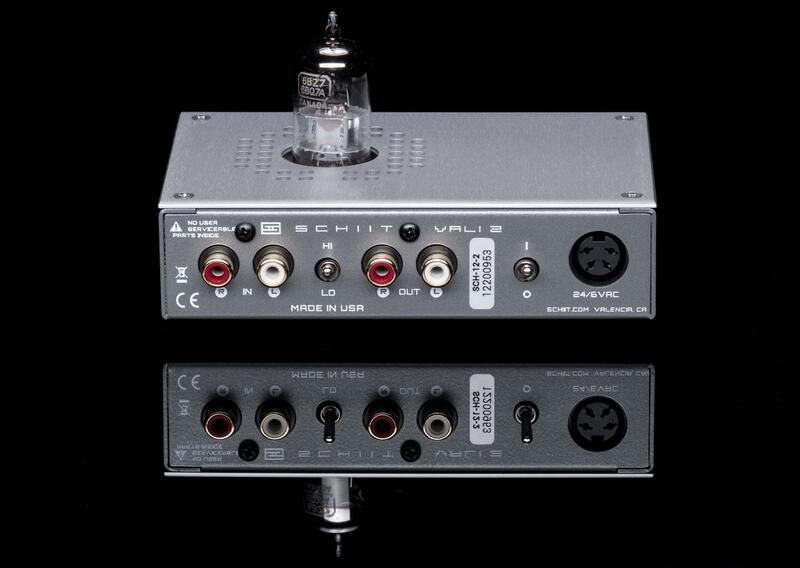 You can also use the preamp outputs to add a tube preamp to your power amp or powered monitors. By “designed and assembled in USA" this is what we mean: the vast majority of the total production cost of Vali 2—chassis, boards, transformers, assembly, etc—goes to US companies manufacturing in the US. Our chassis are made minutes from our facility. Our PCBs are done just over the hill from us, or done in NorCal. Yes, the wall-warts are made in China, but there's some give and take at this price point. Vali 2 is covered by a limited warranty that covers parts and labor for 2 years, and 90 days on the tubes. That’s 2x the coverage of most amps in this price range. And, if you don’t like your Vali 2, you can still send it back for a refund, minus 15% restocking fee, within 15 days of receiving your amp. What? A Vali 2 with preamp outputs! And more power! And a gain switch! And that allows you to roll tubes, like, externally, like a real tube amp? For only $169? Yes, we see you have a good grasp of the particulars of this amp. Congratulations! You probably do very well in school. And this thing is powerful enough for inefficient headphones and quiet enough for IEMs, as in, I can use it with pretty much all of my headphones? Yes. Pretty much. It may not be ideal, say, for HiFiMan HE-6s, which are very, very hard to drive. Beyond that, yep, it’s a great little tube amp that you can use with almost anything. And I can connect those preamp outputs to my powered monitors on my desk? Yep! Or a power amp. It’s a nice little single-input tube hybrid preamp. Hey, I’m new to tubes, how long do they last? About 5,000 hours, give or take. Probably longer in Vali 2, since the tubes are run very conservatively. And…don’t panic. Humans lived for decades with only this electronic technology at their disposal. We even went into space and stuff with it. And when the tube goes bad? You replace it. We sell single 6BZ7 tubes, matched to 2%, for $10. But there are a lot of other options out there, including 6DJ8, 6922, ECC88, 2492, and even more. Pretty much any tube with a 6DJ8 pinout, 6V heater, and 600mA or less of heater current will work fine in Vali 2. Beyond that, we don't speculate which tubes are "best." So wait, how do you match a single tube? Ah, I said I was new to this tube thing, I don’t want to spend megabucks on getting a dozen different tubes to try! That’s fine. The tubes we supply are very nice. Sit back, relax, and enjoy them! So you probably cheaped out and left the protection off this amp, or something stupid like that, right? No. Vali 2 has a relay mute for delayed startup and fast shut-down. You can leave your headphones plugged in all the time. So what’s this big deal about the power supply? 60V doesn’t seem like a lot for a tube. Have you asked the other guys what they’re running the tube plate at? We’re running a full 60V on the plate (not the rail). This is plenty for the tube types we recommend, and it is far in excess of many amps selling for much more than Vali 2. So how can you deliver those high volts? I bet it’s a switching supply! Think again. 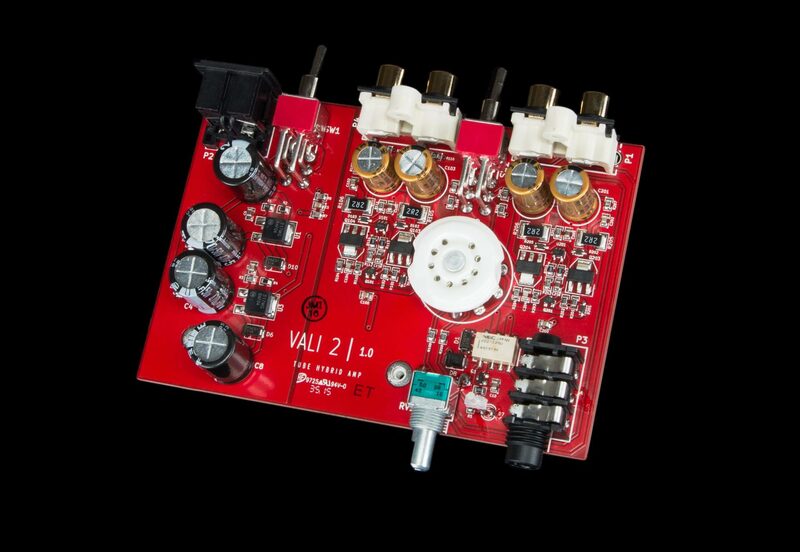 Vali 2’s power supply is 100% linear, with regulation on every voltage rail. A unique wall-wart with 2 AC voltages allows us to provide for the needs of the tube heater, the low-voltage rail for the output, and the high-voltage rail for the tube. You may have noticed the funny DIN-plug connector on the amp. Hey, at least you won’t mistake this wall-wart for anything else! Hey, you say "exceptional thermal efficiency," but this thing runs warm! Yes, it does. Welcome to tube amps. Hey, can you use LISST in this? Sure you can, but why? Magni 2 Uber is a better, more powerful, and less expensive choice for a solid-state amp. I heard that ultimate accuracy is the result of exemplary measurements, including vanishingly low THD, low noise, and low output impedance, so I don’t know how this thing can sound very good. Are you going to let others think for you, or are you going to listen for yourself? What the hell is Vali? In Norse mythology, Vali is the son of Odin and the giantess Rindr. There’s this amazing resource called Wikipedia. You may have heard of it. I want a combined DAC/amp! Why didn’t you put a DAC in here? We did. It’s just in a different chassis and costs another $99 or $149. It’s called “Modi 2” or “Modi 2 Uber.” Stack with Vali 2 for a combined tube hybrid DAC/Amp.